"Simply put...Outstanding! TimberRock Landscaping have been tremendous. They are extremely professional, courteous, timely, customer oriented & absolutely talented. All contractors could learn a thing or two from them. I would recommend them 1000%!" 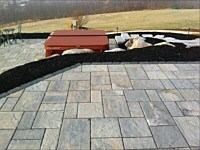 "Timber Rock Landscaping was the best experience we have had start to finish. This family run business leaves everyone far behind with their integrity, courteous service, fast and complete work, and innovative ideas. We are more than happy with the jobs they have done on our property and welcome them back anytime. They are truly a refreshing pleasure and a novelty in business experiences today." "…..We chose Timberrock after searching for over a year for a landscaping service that would transform our back yard into a prominent and commanding feature of our home. 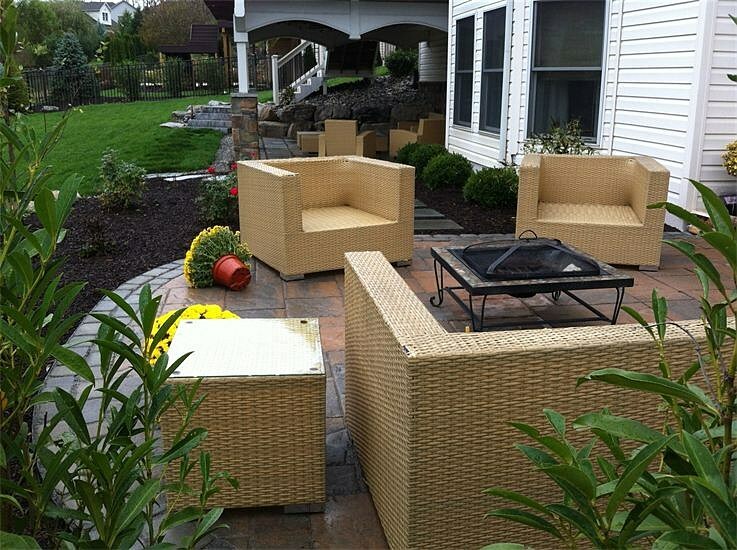 John, Rick and their firm helped us envision what our future patio could be with just a little imagination and trust in their vast experience with landscaping, work with stone, pavers, lighting, and decorative vegetation. Their work was consistently neat, safe, professional, on time, and within the budget we jointly agreed upon. Always punctual and accommodating, they bent over backwards to accommodate any last minute ideas or changes that arose after construction began. Our experience with Timberrock was in a word “outstanding” and we would recommend them to anyone considering a large or small outdoor project that calls for quality, ingenuity, and superior results. 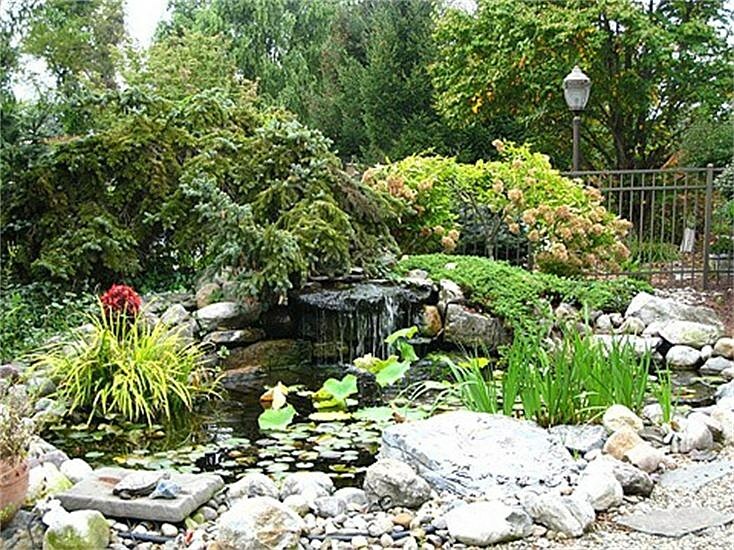 Based upon our first experience, we intend to return to Timberrock for additional future outdoor projects…"
"Timber Rock Landscaping is a pleasure to work with from start to finish. 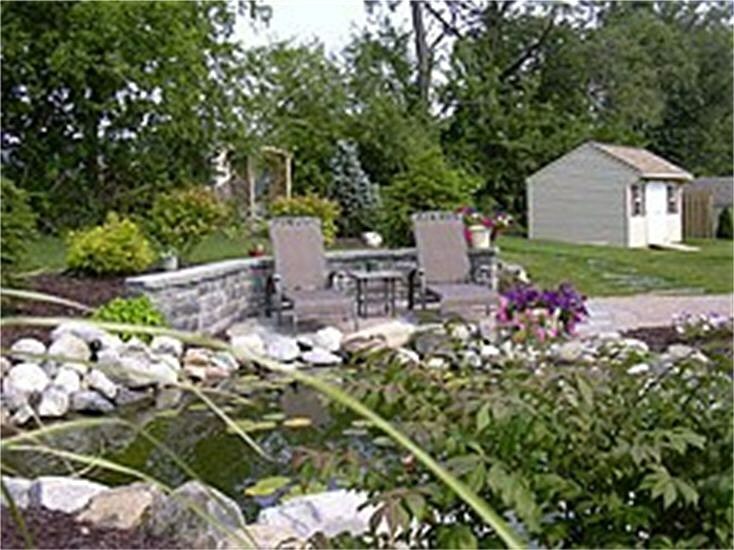 They are artistic and helpful in designing your yard, but leave plenty of room for your own ideas and design preferences. They are also family owned and operated so you are dealing with the decision makers, and also know who is in your yard. They've been in my yard on several occasions, and I've been completely satisfied. I've recommended them to several people who've asked me who I used, and will continue to do so." 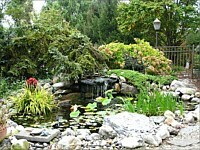 "Reliable, Conscientious, and Professional: three words to describe TimberRock Landscaping. We feel very fortunate that our work was done by them. From our first meeting to the completion of the project, we could not have been more pleased. 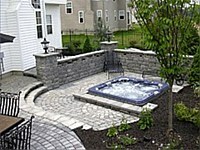 We have had a variety of work done in/out of our home and by far Timberrock was superior in all categories. We weren't exactly sure what we wanted to have done with our existing patio and pool area. They gave us many suggestions and showed us an array of plans and materials to choose from to create the look we wanted in our yard. Each step was explained/showed on plans and from that point on we continued to either add/delete to complete the design. There was always a follow-up call from them to ask us about the progress they were making and if we had any questions/concerns." "They are very conscientious, punctual, and responsible workers who take pride in their work. They are very respectful of you as a customer and of your property. We never felt like we were being pressured into any work and felt very comfortable asking them questions. If we needed to call them, we ALWAYS received an answer back within 24 hours. We are completely satisfied with their work and will not hesitate to call them in the future. You should too!!" 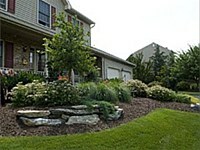 We want to thank you for providing us an excellent landscape service. 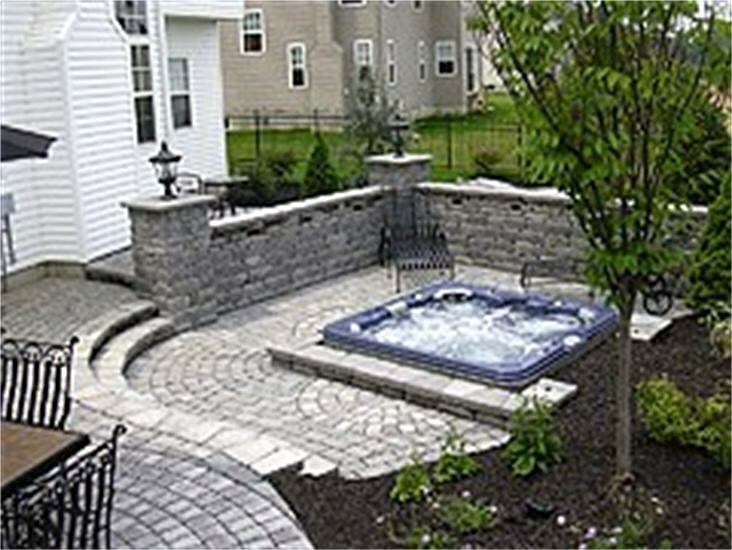 You listened to us and incorporated our needs into a custom design, with in our budget." "The gentleman that worked on the project each day was exactly that - gentlemen! The amount of work that they achieved - and in less time than we had even been lead to expect - - was phenomenal. When they had finished, there was no residual disarray to be dealt with. From the first day after completion of the project we were able to sit outside and enjoy our new environment. Thank you so much for everything you did for us. 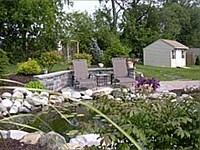 Our yard has become a great source of enjoyment and pride for both my husband and I." "Our project was flawless from start to finish. They are a very professional company and we would recommend them highly to anyone interested in making their dreams a reality! Thanks to all involved for making our project a truly pleasurable experience and a haven we will enjoy for many years to come." The quality of the craftsmanship and the design are above and beyond our expectations, we receive many compliments and expect to for years to come. The improvement on our home is like a breath of fresh air. Thank you to the Gillow's and all of the TimberRock staff." 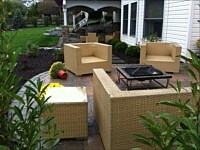 We worked with TimberRock to complete a backyard patio project. 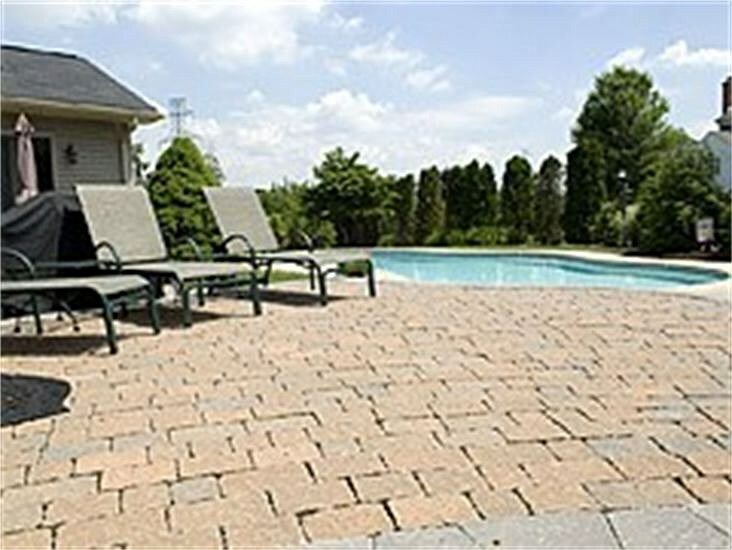 The project required extensive excavation, landscape design, paver patio and flagstone patio installation. From beginning to the end of the project, working with TimberRock was a fantastic experience. From the creative design to the level of service, we found the TimberRock team to be very professional, punctual and highly skilled. Jon’s creative design concepts were second to none and his estimates were very accurate – price and timelines - while remaining conscious of budget. We found Jon to be very accessible with a high level of responsiveness and he always kept us informed of any changes to the schedule/timelines, etc. In the end, the finished product was a transformation that looked even better than expected. We were very pleased with our decision to partner with TimberRock for this project and would highly recommend them.